“PROFITABILITY... The Only Thing That Matters in Business "
Salena: Hey, there and welcome to this week's episode of the bringing business to retail podcast, let me ask you, what was your first job, do you think that it had an impact on how you live your life well for today's guest Thor Conklin yes that's his name, his first job as a golf caddie was filled with rejection after rejection, but little did he know that those countless hours of working on the golf course walking, talking and asking non-stop questions of the business elite would have a profound influence on his career and a lifelong fascination of studying and muddling peak performers. Welcome to the show Thor. Thor Conklin: Thank you very much glad to be here. Salena: Okay, the first thing that people say surely is what a cool name. Salena: Do you get asked that a lot just people say that too a lot. Thor Conklin: I do yes, they do and what made your parents choose such a strong name like Thor? Thor Conklin: They did not actually, I chose it myself, I was born Randala, so growing up most of my life, I was known as Randy, no one calls me Randala and probably about ten years ago, it just started to stick and it really became who I became and if you ever look there's a sculptor in Colorado called Bobby Carlyle and she does a sculpture called the self-made man, it's a man carving himself out of a block of granite and he's got a chisel in one hand and a hammer in another and he's slowly chipping away everything that is not him and that's who I am and to me that likeness is Thor and it's really become who I am. The man that you hear today is not the same man that was here five years ago, ten years ago. Salena: And now offense to the Randy's, but Thor is a way cool name. Thor Conklin: you know no one has ever come up to me and said you know Randy I love that name, but every day somebody comes up with Thor and it was just something that it was a circumstance, it had nothing to do with the character of a comic or anything like that and it's really become a model, it's my screensaver, a good friend and now mentor of mine said hell on earth would be to meet the man or woman you could have become. So, I wake up every day trying to figure out what does not belong and how I can make this version of me even better. Salena: Okay, so, I'm going to take you back to when you were Randy and tell us about these golf caddy job, that's a pretty interesting first job, my first job was selling lollies for a charity whole different story, but golf caddies a really cool job. Thor Conklin: It really was you know it was great money, I want to say this is going back 1978, or something in the United States it was fifty dollars a bag per loop. So, if you had two bags it was a hundred, but I mean it was great money back then, it was cash and you got a chance to be outside and I got a chance to ask questions from an amazing group of people and it was really like being an entrepreneur because you're sitting there in a caddy yard and you had to hone your skills and then you had to get a reputation that you knew what you were doing because it was more than just carrying the bags, it was about reading the putts, clubbing, knowing the terrain, how to hit. There was a lot to it. Salena: But surely when you were in the caddie yard, there's a lot of people there and I am just picturing this in my head, there's a whole bunch of young guys or guys were they all guys? Salena: Whole bunch of young guys, probably some pretty beefy ones as well. Salena: Randy the name Randy, Randala doesn't bring to mind a nice beefy caddie like guy. Thor Conklin: I was skinny guy I was a skinny six foot four, I'm not quite sure almost is it 1.9 meters, six foot tall. So, I'm pretty tall, I was skinny and when I first got there you know I started at the bottom and I sat their day after day and towards the end of you know the afternoon sometimes, we wouldn't get out at all, people wouldn't show up and you go home empty-handed. So, it was really a test of learning the trade and putting in your time and being there sitting on the front row ready to go. Salena: Okay, so tell me once you felt like you had a little bit of knowledge behind you is that how you moved up the caddy list you started to learn about golf? Thor Conklin: I started _ yes, I mean I had the skills, but now, I needed the opportunity to display those skills, so even though I had them I had to get out there, I had to get a reputation with a group of golfers and as that reputation spread I then got to the point where one gentleman every single day when he played, I was the only person a caddy for four years. Salena: Okay, tell me how you pitched right back at the beginning, how did you pitch that first group of golfers to let you the skinny lanky guy who doesn't look like he's up for the job, how did you convince them to take you on board over everybody else. Thor Conklin: You were the last one sitting there that's the way it started, you know you've got to stay in the game you know, it's just like business you know you get in there and just because you've got a sign out, just because you've got a website doesn't mean that people are going to come and you had to sit there and I had to be there when nobody else, was you know everyone else was showing up late, I was the first one there, I was the last one to leave. Salena: Interesting and once you got in front of them, then you wowed them with your skills and your knowledge. Thor Conklin: Exactly, that probably wasn't a great caddie in the beginning, but I learned and I applied myself, it you know whatever you find yourself doing at that time become the best. Whether you're a caddy, a janitor, if you're sweeping the halls in a school doesn't matter become the best. Salena: I like that, I have a question there okay, let's take that subject because the be the best, I have a bit of a saying that I share with my clients which is done is better than perfect because I am an overachiever, I quite often, I'm not perfectionist funnily enough, but I'm the overachiever. So, I want my thing to be better than everyone else's, but sometimes that can actually hold you back you know sometimes just going to get something to market you're just got to get it out there get it on the shelf regardless of whether it's perfect. So, how do you take that line of approach like be better than everybody else? Thor Conklin: To become the best you've got to start off being the worst, anything worth doing is worth doing poorly and I'll explain that, when I started my podcast you know I got all the equipment, I started practicing before, I went live and I still did not have the skills really if you listen to some of my earlier episodes, it was a very different person that showed up back then that shows up now because I got better at it as I did it, but I couldn't come out of the box, I couldn't come out of the gate being an expert in it. So, I just had to start where I did and I remember I went and I listened to the first podcast it took a long time to find it that fire John Lee Dumas did. Now, John Lee Dumas has an amazing, he's an amazing podcaster and it has an amazing show. I went back and found episode number one, I listened to it and he was really bad, it was horrible, it was kind of funny and I said you know what that's where he started that's where we all start. So, I just got out there, I did it and as I kept doing it I've published my five hundred episode two weeks ago, I just got better as I went along and that's the thing get it done don't make it perfect, it's not going to be your best effort, but it might be your best effort, then get it out there do it. Salena: I like that and I'm pretty sure, I heard John say somewhere along the line that if you go back and listen to your first episode and it doesn't make you cringe you are doing something wrong. Thor Conklin: You know I kept it up there as a reminder that everybody starts the same place you know when we start a business you know we all start in the same position. Uber's started with no rides apples started with no customers, it just where everybody starts, it's with zero. Thor Conklin: When do you think you need to make a decision that it's pursuing or not? Thor Conklin: Pursuing that business? Salena: Well pursuing that idea that concept that business you know, so many people put so much money and time and effort into, let's talk about business, into a business and then there's a point where they really need to make that decision now you've created bought and sold many multi-million dollar companies. So, you're the man to ask, when do you think people need to make that decision on whether it's worth just cutting your losses and the emotional ties and moving on or keep on going to make it better. Thor Conklin: I wish there was a real easy formula here, but I'll give you some techniques that you can use, first and foremost surround yourself with people that don't have any interest in the venture people that will tell you the truth, if you've got to hire them hire, if you've got to find them, this is not your aunt, uncle, nephew, cousin, mother, father, brother, sister any of that these are people that don't care to tell you _they'll tell you the truth and they don't care if it hurts your feelings, get those people around you given the financials if they're make sure you choose the right people that understand it and find out start talking to your customers. So, often I see people go into business with this great idea, it has lousy profit margins, the market doesn't want it there's no pain in the market and they just love it because why it's their baby you know everybody thinks their baby's beautiful, some babies aren't pretty you got to find somebody that sits there and says dude, what are you doing this is a bad idea or you're on to something, but you're missing something, you don't it every business needs certain seats filled, someone's got to do the production right, someone, if it's a product or a service somebody has to be out there doing it, someone needs to have the vision of where we're going with the business and somebody needs to sell there's got to be somebody out there that's selling and closing the deals. If you're missing some of those seats and you're trying to do them yourselves and if you're the artist, but you don't know how to sell you're not being successful, it could be a great business, but you're just not the right guy. Thor Conklin: This is what happens, but babies are you have to take care of them right you got a nerd to him you got to feed them you got to change the diaper, I mean babies take up a lot of work or a lot of energy, a lot of cost to them you know most people think they're business owners, where the business actually owns them. Salena: So, I've been saying is stop being a shopkeeper and start being a business owner. Thor Conklin: Yes and not everyone could do that, there are some people ask me all the time it's like this entrepreneurial trend I think that we see nowadays, is it's like it's the in thing to do and everybody thinks they can do it, it's not for everyone this is a contact sport. 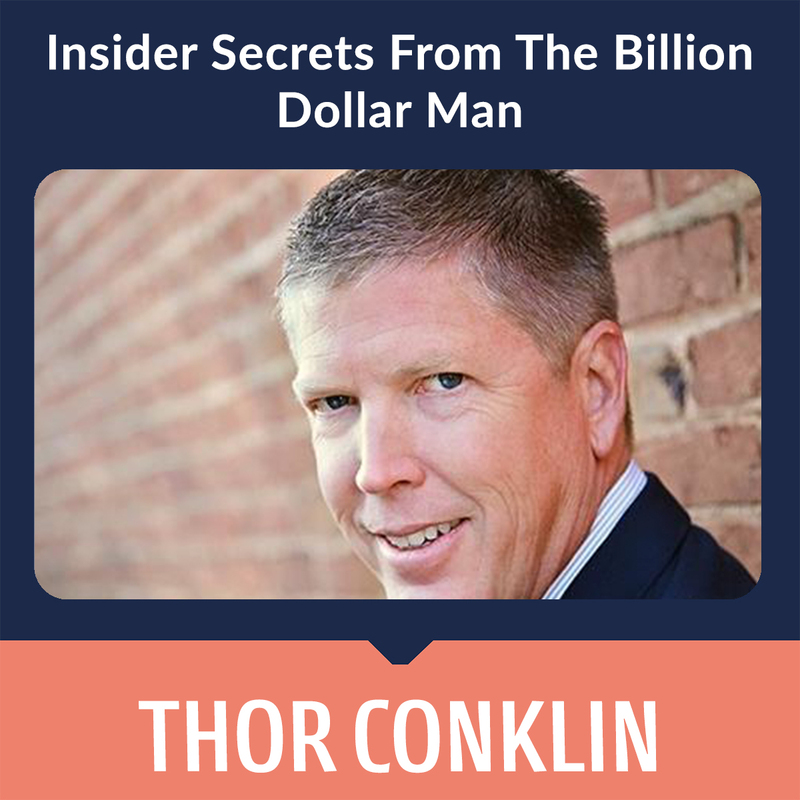 Thor Conklin: It hard work, if you don't understand the financials, do not play this game, you will lose the game of business you've got to know how it works it's like flying a plane without understanding how to read the instruments. I am not going to get in the pilot's seat and start flying a plane because I don't know how to do it, if I did it we're probably going to crash, people do it with business all the time right and the more money they have, the more ridiculous and the more mistakes that they can make and it can be a bigger and more dangerous crash. Salena: I completely hear, in fact actually understanding the numbers is the first module that I always teach when I do a course because if you don't have them, how do you know how much you need to sell every day, how do you know how much your products need to cost, how do you know how much money you've got to spend on marketing you just don't. Thor Conklin: And then some people understand a little bit at somebody last night literally just last night had an about a quarter million-dollar net profit for the year and he had about eight thousand dollars with the cash left over. So, I said good news and bad news you made some money and now you got no money to pay for taxes. He's like what happened, I'm like well, let's dig into it. He had no idea he was all excited, I made a profit this is great, I'm like guess what you made a profit you don't have the cash to show for it, where is it? Salena: I do what I see all the time, I just got off the phone literally like he said a couple of days ago from someone who's turning over nearly a million dollars and had I think it was about a quarter moon dollar profit and no money in the bank to pay taxes that's what made me think of it. The same thing your biggest complaint was I've got this huge tax bill and I don't know how to pay it. So, you are earning two hundred and fifty thousand dollars’ profit. Salena: Where in technical that goal because two hundred fifty-thousand-dollar profit should mean two hundred and fifty thousand dollars the bank. Thor Conklin: You know my business is profitability consulting, it really should be cash flow management consulting, but nobody would probably understand that terminology because the profits are important, but what sort of cash are those profits producing because you can't put profits in your back pocket, you can't pay your bills with profits you paying with cash. Salena: Okay, can you talk about that a little bit more? Thor Conklin: What would you like to know well? Salena: I'm just thinking a lot of people understand the term in retail, they understand the term cash flow and they're probably thinking what do you mean, why could I have profit and not have money. Thor Conklin: Great and in a retail environment that's probably the easiest place for this to happen. So, if you buy your products, you then deduct your cost of goods sold, you've deducted all your expenses there may be a profit at the end of a month into the year, but if you've taken the cash and you reinvested that into assets your profits or your cash is sitting in assets, you've traded the cash for the asset and it's still showing up on the balance sheet and I'm sorry on the P and L; as a profit. So, very often it's where you have inventory and it's hidden in the inventory. Salena: And then I don't know about in America, but here in Australia at the end of tax time you pay tax on that inventory. Thor Conklin: Absolutely, do the same thing you get hit with the inventory tax. Salena: So, you get taxed twice essentially you get taxed on the profit that you technically made and then you also get on the inventory that. Thor Conklin: It absolutely, loose. Salena: And that is where one of the biggest things I say people say, until we have a conversation they don't understand why people have stock take sales before the end of the financial year and as soon as you say well because you're taxed on everything sitting in the shop that's classic here, it's classified as income and what do you mean, but I haven't sold it yet. Thor Conklin: That's right, I don't have the money, it can't be income and then what tricks people also is that they use financing, if you inject money into the business using financing your cash flow actually might look good, but the cash flow has two components to it, financing cash flow and operating cash flow. So, you want that OCF that operating cash flow that is _ if there's one thing I could teach business owners from a technical standpoint understand what operating cash flow is that's it OCF; if you walk away and you understand what that is and you run your business looking at OCF; it's a game-changer that and make sure I'm a big proponent of take out what I call is your top, okay or for the people from California their path it doesn't matter, take out your profits, take out your owner compensation and take out your taxes, take those three things out and then what's ever left that's the expenses or the money that you have left to run the business. But most people run around and they take in the money right and then they buy some more inventory, they're paying themselves, they're not actually looking at the even the gross margins and then at the end of the year they don't have anything, take your compensation out, take your taxes out and take out your profits and then run lean with what's left over and you'll always have a profit. Salena: When we sing the word compensation, we mean your wages Zoe, your salary. Salena: Yes, but it’s a money that you are paying yourself. Thor Conklin: That's correct and take it out it doesn't stay in the business, it goes in your pocket remember business is about creating a profit and cash flow for you and your family not to keep reinvesting it into that vehicle over and over again. Salena: Would you agree with me here, so we're talking probably the people listening to the podcast are independent retailers, one maybe, two or three stores you know they're not big chains and I say to those smaller retailers even if you only pay yourself a hundred dollars a week, even if it's only fifty dollar a week pay yourself that because within a couple of months, you're going to get really peeved about the fact that you're doing all this work for fifty dollars, but if you don't pay yourself you literally are placing no value on the forty, fifty, sixty, seventy hours a week that you're working would you agree with that? Thor Conklin: Absolutely hundred percent remember that this business that you have created and our running is there for your benefit and what happens. So, often is I find entrepreneurs have a very big heart and we tend to take care of those around us our employees everybody else and we kind of put ourselves last and if you do that year over year over year you get to the point where you just burned out you just don't have anything else to give. 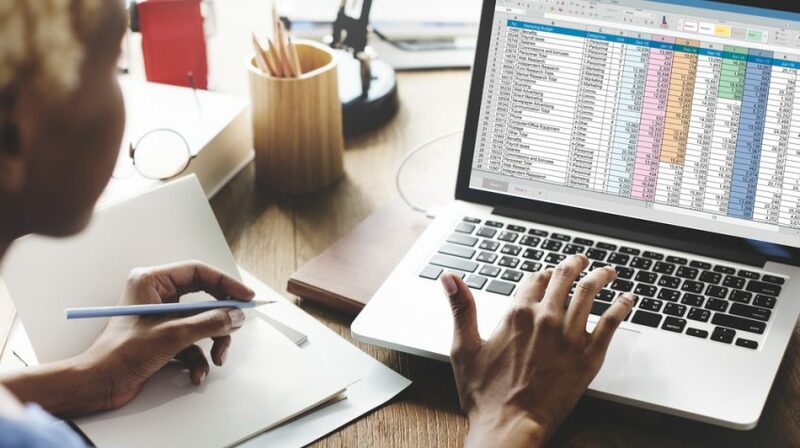 The reason we do profitability consulting is, is that if the business is creating profits, it then has life without profits without cash the business has no life it doesn't have a place for employees to go doesn't have a place for you to go because one day it's not going to be in business. 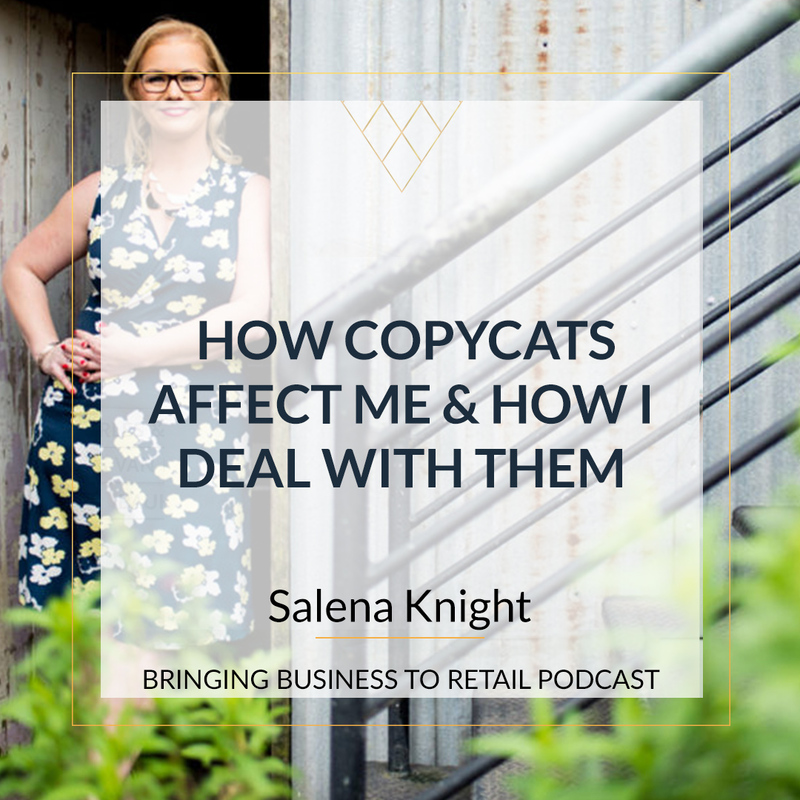 Salena: We sort of didn't get to the point of how you ended up here talking about money, cash flow, profitability and I did hint at the fact that you've created and bought and sold several multi multi-million dollar companies. So, can you just give us a quick rundown on how you know this stuff how have you come to be able to speak so passionately about helping business owners make more money. Thor Conklin: Well this is the painful part thank you for bringing this up, but here's the truth, I had a business that I purchased that I got into in 2008 right before the recession, the owner had fabricated the financials, they were completely fictitious, I found myself in a multi-million-dollar business that did not have a profitability that I thought was there. I had to inject tons of money into it and I lost my shirt and it was the first time where I couldn't make something work and through that pain, I discovered that there were a lot of her business owners just like me that had multi-million dollar businesses and for whatever reason they couldn't figure out how to turn a profit and I went on a journey to figure out why that was, what were we missing including for myself because I never wanted to suffer through that again and it was my fifth venture all the other ones were very successful profitable exits and then this happened. I was like that's not supposed to happen that way right, the mistakes are supposed to be in the beginning not towards the end and I just went on and I became obsessed. I wanted to understand what was missing why was I not the only one in this scenario and what could I do to help other entrepreneurs. So, they never have to go through this ever. Salena: So, what was missing? what was the thing everybody thinking did you put us on the hook now, what was missing in that business that made it not be successful even after you _ okay, it wasn't profitable when you bought it, but you did sink a lot of cash into it, so what was the missing link. Salena: I was just thinking right now you do not want to be owning a video store. Thor Conklin: Right you know but at one-point right, I mean they were just generating cash you know hand over fist you know what a great concept, I've got a movie, I rent it out people then pay late fees they bring it back and I rent it again. I mean beautiful write it the times have change. So, one makes sure that you're in a business that has a runway that is a profitable runway into the future you know five ten years into the future. This is going to be something that's going to continue to generate good profits that was number one number, two is it really came down to the belief systems for most of the businesses that I find that are not doing well you know it's not the plan, they're committed, they're working there you know what's off, they've got something in conflict with each other either, they're running around, they're extremely busy, but they're not focused, they're working on five things instead of one things. They're failing to find out what the market wants and they're continuing to do business the way they've always done it, they're not innovating customer service models, I think are absolutely horrendous people are trying to automate everything where the customers saying I don't want to talk to a computer. I want a person and people are going the opposite way, tracking, measuring and adjusting, track the small stuff business is about taking little teeny things in doing them consistently to create exhorted extraordinary results time, sometimes you think it's not working, but it actually is working, but unless you're tracking and measuring and seeing what's working, what's not, you are kind of you're jumping all over the place. I see a lot of _ let me try this for a week, that's not working, well it actually takes three or four weeks for that to work and you just keep jumping from one thing to the other. Everyone's looking for okay what's the news you know a sales funnel that's is going to fix all my problems doesn't work that way culture people, the tendency to hold on to people that just aren't right for the organization, we see it everywhere. If the people are not the right people, I don't care how hard you work and you're just going to be pushing a boulder up a hill. Thor Conklin: Definitely, the time, the leaving things to see, if they work that for me is such an important part of business that people just overlook and when you were talking about that example my first thing was marketing oh my goodness, if I have to hear another retailer say I put a Facebook ad up for two days and I didn't sell anything, it doesn't work like that. Salena: You have to give a time. Salena: I was going to say, it's a lot easy to get money out of the people who've already brought from you isn't it? Thor Conklin: Absolutely, now, you have to have your customer service model together, no look Reeth why do people go into a retail store versus buying something online, it's the experience, it's the customer service, it's you behind the counter, it's you greeting them at the door, it's about the experience. Salena: But do you believe that you can create that same experience online. Thor Conklin: Absolutely and that's why the retail companies are having a difficult time is because one you can create some of that online, we're not with talking with prospects, I'm generally not talking on the phone, I always set up a zoom or a Skype call with video. Why? I want to look at them I want to have a connection, I don't want to just be a voice I want to be a face, I want to look at them, I want them to walk away with a feeling that we had a moment together. Salena: I did a podcast just recently about conversation starters when you don't know anybody in the room and I said in that little, it was just a little sort of five-minute clip that I did in the lounge waiting to get on the plane and I said in that little clip, the after parties where all the networking is done because you can let your hair down, you can just have a conversation with someone you're not focused on what the speaker is saying or what you're supposed to be learning and like you were saying those connections those real life connections, if you have the ability to make those offline, you can completely change your business because people don't like to say no to somebody that they've met in real life. Thor Conklin: Right exactly and go into those relationships or the start of those relationships and figuring out what you can give to the relationship, I see, so, often when people are doing networking it's like okay, they want to get once your card want to get to your number, want to set up a coffee date, want to do this want to start giving, go in there and figure out what you can give, it's a cornerstone of everything that we do in our organization and what ends up happening is we get our referral system work something like this, I get a phone call of a blue and it's like Bob said I need to hire you, I don't know what you do, Bob really loves you guys how much does it cost. Thor Conklin: Right, it's like you know can I please just go through my deck and have a little bit of fun you know I'm getting rusty at actually trying to you know bring out new clients because I'm always going in trying to figure… I'm not sitting there you say you know where's you got a referral, I'm trying to figure out what I can give them constantly figuring out okay my customers are in this space, what do I need to do, just last week, I have a company that is an investment company and somebody needed something that they had and I said come on in I'll introduce you, so I introduced them you know I didn't sit there, I didn't say okay now, I'm going to induce you this guy. So, now I want you know fifteen percent of whatever is done no, years ago not years ago, three years ago I did something similar and this particular client of mine gave me a six-figure check out of the blue just wrote me a six-figure check it said thank you very much that introduction it was so important and the person I introduced them to said the same thing. I'm like well you know they actually wrote me a check you know it's that figure out how to provide value and the same thing with your customers you know as a retailer you've got the opportunity to make a real impact on your customers, make it you know I was at a restaurant the other day and I was sitting there and the owner camera Italian restaurant, the owner comes around you know what could I do for you, you know welcome first time here? Yes, first time he goes anything you want just let me know I'll take care of it and I said I took my fingers and I made about two inches between my thumb and my forefinger and I said do you have a stack of hundreds? I always joke around with people like that you got a stack of hundreds I could use a stack. So, he reaches into his pocket and he had just go to the bank for the night and he had a stack of like ones and fives and tens and everything in it, it was about three inches thick he goes I don't have hundreds. But I got this you can have it and I said you know out of all the times I've ever done that you're the first person who reached into his pocket and pulled something out. I said I like you, I will be back and I love the place, it's like family you know I walk in door how are you doing? Thor Conklin: Right, it’s just I can't get that experience everywhere, I certainly all get that experience online. Salena: You don't get that when you pay from dominance. Thor Conklin: It's a cheapest one, he gets out like a limo driver with a sign with my name on it I get in the car in the backseat he's got soda, he's got water, he's got candy and then he's got a disco ball on the roof and he's got karaoke. So, on your way home you sing karaoke video karaoke. Salena: I was going to say can we just say right there that Uber is _ I love Uber. Thor Conklin: If you own a taxi car company right put a disco board in your taxi they get fun you know this guy was making more in tips, he's on eight thousand rides on Uber, the guy was having a blast, I laughed the whole way home a matter of fact, it was a half mile Uber ride, it was cold don't hate on me, it was cold. So, I jumped into you over it was like six bucks, I looked up a five-dollar tip for a half mile, the best time. Salena: And all because he made the experience great. Thor Conklin: Exactly, it's about the experience and the customer service and people have lost sight of that and I love it because like crush them at it. Salena: I have to ask you when you _ because you're a profitability consultant, you gave us a whole bunch of tips and I want to try and write those down in the show notes, but what is the first thing you do, when you meet with a client like what is the first, is it you go into the number is that what you do? what do you do, tell us? Thor Conklin: The numbers are at the end, the numbers are a result of what the behaviors have been plain and simple we start off with what is your vision for your life, I want to know where you want to go because so many entrepreneurs spend their entire lives chasing their business and everything else in their lives suffer, if you end up at the end of your life and you've made a bunch of money and you've destroyed your relationships, destroyed your health and you've got nothing else to show for it, I promise you it will be a loss, it doesn't matter you've got to have the whole deal. So, it starts off with where do you want to go in your life? what do you want? then let's figure out how we can design your business to support your life, not you support your business. I want to know it's a once that's determined what's what is your vision, then when we come down and we set one of the pillars as your business you're going to have your health and fitness you're going to have your relationships you're going to have spirituality in there if that's important to you. So, we have this foundational along with your business that supports your vision and then from that point we then dive into the business and what I want to know is what do you want to create? what is it? okay. Now, that we know the end game, let's figure out a plan to get to the end game and then we break that down until we back it all the way down to what we need to do this week in order to get to that objective. So, we're deconstructing it, but as we're going through that process we're making sure that the plan is efficient and it's effective, we want to make sure that you're committed to it because most people decide that they're going to do something, but they never really commit to it and the difference between decisions and commitments, a decision is an internal response to something you decide internally and say I'm going to do this, commitment is an external action that's when you take action and you tell the world this is what I'm going to do, this is when you either quit your job, open the doors of the new business. I'm always talking about the importance of social media. So, this is what we're going to do, let's go tell everyone on Facebook what you're going to do. Well if I do that I'll actually have to do it, now you see how this game works, I mean you could do it or I could do it for you, it doesn't matter. So, once I get their commitment, I get some leverage on them and then we start going into what their belief systems are and often we see that people aren't getting the results that they want because they've got too much going on or they have conflicting belief systems. I want the absolute best relationship possible, I want to be at my son's soccer game every Tuesday at two o'clock and I want to make ten million dollars in my business this year and then I also want to climb Mount Everest as well, they've got conflicting Oren competing goals that are all great, I mean they're wonderful. But we all get twenty-four hours and we've got to make some decisions on which ones we're going to pursue because we can't have everything, we can have anything. But we can't have everything and there's just belief going around the internet nowadays, if you can have everything that's the biggest BS story out there, you can have anything, but you've got to choose. Salena: And you can't have everything now. Thor Conklin: It's right and you got to pay your dues, I've got some good friends of mine that are Uber successful and people always like you know is easy for them, their back story they were standing in _ I'll tell you who it's Sara Blakely. Thor Conklin: she stood every day for two and a half years Monday through Sunday every day for two and a half years, I don't know if there was a Saks or a Neiman's I forget which store it was and she sold her fit where as if she was employee of Neiman Marcus or Saks for two and a half years traveled around the country stood in the store to sell her stuff that wasn't her job, she was the CEO of Spanx, but nobody else at that point in the beginning that was going to do, that people didn't understand her product. So, she sat there and she talked to moms I came into the store and explained what a product did. 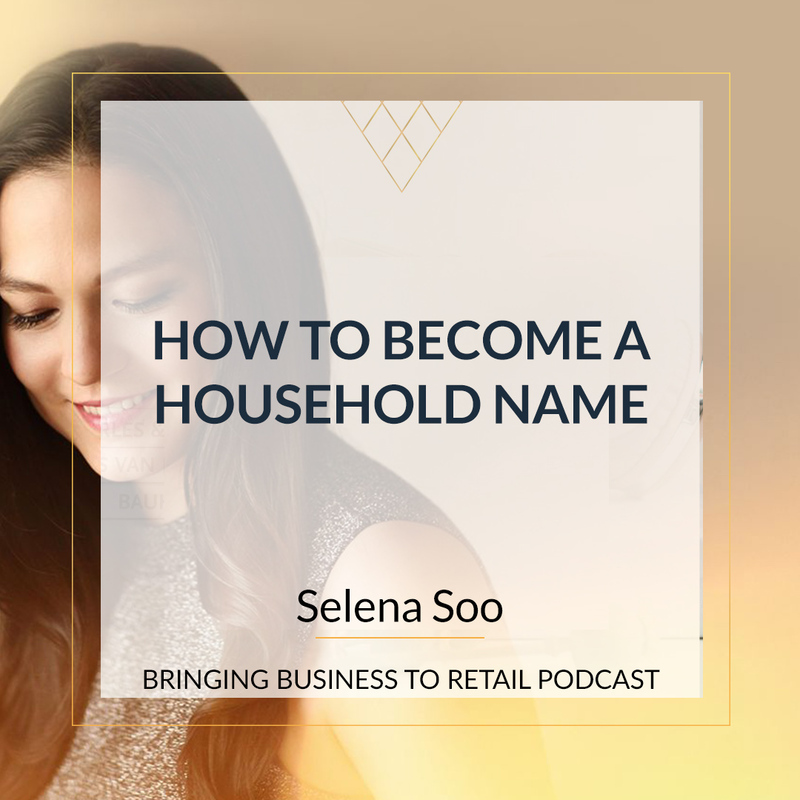 Salena: She basically started an industry. 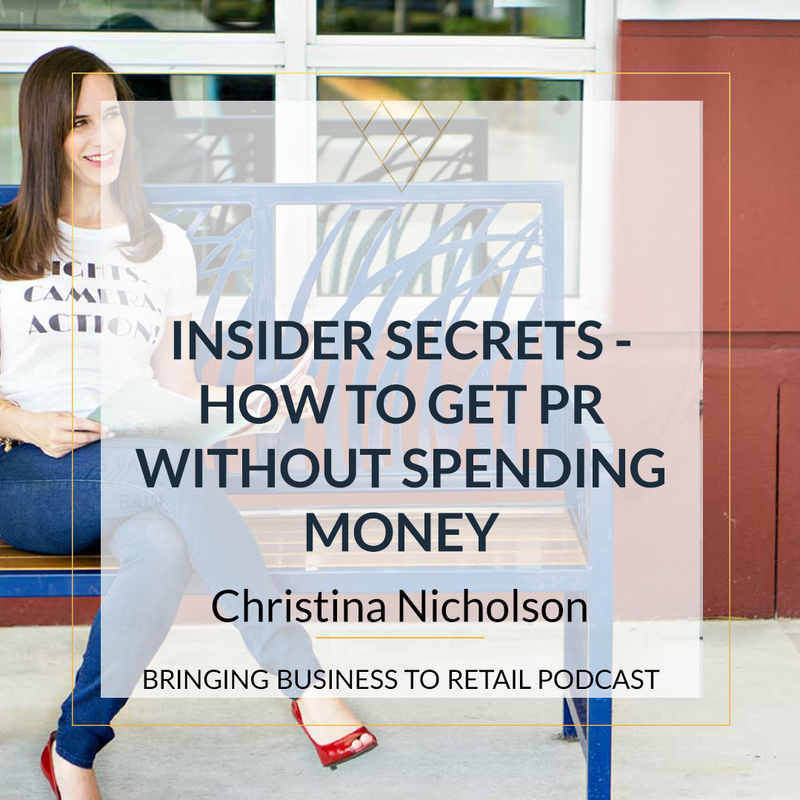 Thor Conklin: She started an industry with five thousand dollars and never spent any advertising until last year not one nickel on advertising, no Facebook Ads no you know it wasn't Facebook back then, but nothing. Salena: I remember her so well, I don't know it must have been more than ten years ago, when she was on Richard Branson's, he did other mentor top show. Salena: And she came second and I was so devastated for her because she was so resourceful. Thor Conklin: And she's scared to death of heights, but she was willing to do that climb all the way on top of that balloon remember the reason she had a climb on top of the balloon is she wouldn't go between the two balloons on the gangplank. Salena: I remember the one way that she had to winced _ she had to get from one island to the other and she was smart enough to get somebody to win, so across for her and she like piggybacked on him and all the others were trying to learn how to windsurf that's what I remember because she had a vision right, she knew what she wanted, so let me ask you the vision question is probably one of the hardest that people can't answer like it's one of the questions when I asked every potential client you know what do you want out of your life, what do you want from the business. If two years from now your life was perfect, what would it look like and most of them don't know they just have no idea. So, why do you think it is so hard for people to know what's going to make them happy. Thor Conklin: To know what's gonna make them happy, I don't think they do know what's gonna make them happy and I certainly don't know what's gonna make them happy, but we'll start going through some things that won't make them happy so we kind of go through an elimination, they go okay I have no idea what my I want my life to look like okay great do you want to be homeless no, okay good. So, you want to have a home yes, okay good. Do you want to be healthy or sick, I want to be healthy okay great? So, we want a home and we want to help I'll make it real simple you know this is not about making it perfect this is not about saying you know I've got one chance to design my perfect life and if I screw it up this is not gonna be good no, it's just let's get some this is a guiding point this is a North Star this is a aiming point this is not something that is written into stone and I do it in a way that is very big picture you know mine is I want to wake up every day with a sense of joy and love of my life that doesn't say where I live, that doesn't say how much money. I'm making it just it's a feeling and what do I want my life to look like, who I want to be surrounded by how do, I want to spend my days do I want to spend my days hours in the boardroom no that didn't end up my ultimate vision, but for someone it might, you know everyone _ if you can figure out what they don't want it helps them get a little closer to what they do want and look everyone needs to be detaching every year spending three or four days in working on their plan for their life and the following year every November every early December, I pull away, I go to the beach, I go to the mountains and I look and I review last year and I look what I want to create next year and I put together a plan and it gets modified. Now, it's gotten pretty good after years but there's always adjust Minh said I'm making to it and some of the things that I thought were really important fifteen years ago you know what just aren't important anymore right. Salena: do you think that a business can reach fantastic profitability, if they don't have the vision? Thor Conklin: No because here's why one of the biggest mistakes entrepreneurs make as they say yes too often, if you don't have a vision you don't know what to say no to and if you can't say no, you're doomed period my successful clients and the most successful people that I know in business and in life are the people that have such a narrow focus of what they want and anything that comes in there that is not in alignment with that they immediately say no and they say no to a lot of great things. But they know where they're going. Salena: I have a good question for people with that, I say if you're saying yes to this vision, what do you have to say no to? Thor Conklin: It's one thing that's you know they say success leaves clues, if you study the most successful people in an area, I don't care if it's finance, I don't care if it's business Fitness relationships whatever it is, they know how to say no if it's not an alignment I have on my desk an old Mariners compass and it's there to remind me that there is a North Star, there's a vision, there's a destination that I'm going towards and I've got to remind myself because I get great opportunities all the time that come across my desk and it's easy, if you don't have a vision you don't know where you're going it's easy to say I like that the shiny penny syndrome. We're all subject to that. Salena: Okay, I have to ask you now, what is your most favorite store? what is the place that you love to go to. Thor Conklin: My favorite store is high country Outfitters, you walk into this store and it's from a pricing standpoint, it is more expensive than most, it is not cheap, you do not get a deal when you go there. Salena: You can afford that with your six figure tip that you. Thor Conklin: Yes, you know as funny about that story is I wrote down on my vision board that I was going to start a new business that particular year and the amount of money that I was going to take out of that business for myself that year was the exact same number to the penny and the person that wrote that check had no idea that I had that vision board. Salena: Okay back to your store, what do you about it. Thor Conklin: High country outfitters everyone in there is an expert in their particular area, they're hikers, their campers, their outdoor people they're kayakers you walk in there and you ask a question. I'm always the dumbest one in the entire store, it's like anything I want to know it's like okay I'm going camping and I need what like you need this isn't it, why do I need that, this is why you need this and do you have one of these, I have no idea what that is, they know exactly what I need, they're experts and they've got a cool golden retriever that's part of the team. So, every time a dog guy. So, I go in there, I got my golden retriever they got couches, it's like walking into kind of a big log cabin living room thing that has a whole bunch of stuff for sale and people that know what you need. Salena: They want to help you succeed in the thing that you're going to do? Salena: whether, hiking or official or kayaking. Thor Conklin: Yep and it was interesting because I went in just recent I rented a kayak, I was training for a race mile kayak race and I needed a kayak to train on. So, I go in there and it was I needed it for like two days from then, but that was the only day, I could get in there. So, I was gonna like actually have three days not two days and they said what are you gonna use, I said I'm not gonna use it until like two days from now, they're like well why you pick it up today? I said I just don't have any time to pick up the next day you know what, we understand we're not gonna charge you for the two extra days like that's cool. Salena: Okay, I have one last question okay we didn't talk about it but at one point you're an insurance salesman selling door-to-door, so taking into account this beginning your job career as a caddy where you were rejected over and over again through to the insurance salesman rejected over and over again seeing a bit of a pattern here, how does it feel now to be in that situation where you don't even have to go looking for clients, people are just coming to you saying apparently I need you how much is it going to cost? what does that feel like compared to those years upon years of rejection after rejection. Thor Conklin: You know I learned to take that rejection and use it for me that was not a difficult it was difficult while I was going through it, it was frustrating while I was going through it, but the muscle that I developed the lessons that I learned and the resilience, I am so tenacious and I never would have been tenacious had I not gone through that scenario, if things were easy in the beginning, I never would have the fortitude to continue on. It's when people cut _ I was eighteen years old and selling life insurance do the math. Salena: What do you know about life? Thor Conklin: Right exactly you know it was not a good career choice at the time, but it was a phenomenal one long term because I just continued to go and go and go and just keep going it didn't matter the no just brought me closer to the yes. I had a manufacturing company and a customer that I worked with for six years. I knew I was gonna close the deal, they wanted to work with me, it just wasn't the right time, every three months I'd follow up I'd go out and I'd see him, but I kept checking and kept checking in took six years, there's thirty, forty-thousand-dollar sale. But I wasn't going to give up just because they said no they said well I want to do business with you great is now the right time? No, okay, when might be the right time maybe in three months, maybe in six months, I'll come back and I'll see you. Salena: I love that, it's only no right now. Thor Conklin: Yes, I mean how many times have you seen something you're like no I don't need that right now and then it's like you know what now, I need it. Salena: Yes, so many times and that tenacity is I think one of the things that especially product creators especially manufacturers and people who are trying to get other brands to take their product on, they need that because I always say it's only known for right now, it's not know forever. Thor Conklin: And if you're a retail establishment and you don't know how to get in touch with every single person that's ever walked through your door stop what you're doing and set up a system where you can contact them and tell them what's going on and what you have for them and treat them like gold, you know one of the biggest issues I have is with gyms, you know I've been a member at the gym and I'm paying full price and then the new guy he gets the deal, it's kind of like the cell phone companies right, we got a great deal for you, if you're a new customer, if your existing customer will we have our most expensive deal for you why would you treat the people that are loyal to you in my business when you become a client the rate never goes up, our rates have doubled in the last months, the people that are still with us from eighteen months ago, they'll never go up, I make that promise up. Thor Conklin: I have people doing ridiculously low amounts of money because they were there when I started out. Thor Conklin: Right and I'm fine with that, you made a commitment to me, I'm gonna make a commitment to you and I'm gonna treat you like gold. Salena: Yes, right, I think we're gonna stop there because I think you and I could talk for a very long. Salena: If people are thinking that they might like to know more about this whole profitability thing, where can they find you? Thor Conklin: The easiest way is just reach out to me by email Thor at Thor Conklin.com and what I'd like to do also for your audience, if anyone is suffering with something in their business and it's just a problem that doesn't seem to go away, it just kind of continues to be there and they've tried everything, if they send me a fifty word or less email, I will send them back a four-step process to absolutely eliminate that problem or at the very least greatly reduce it. So, it is no longer that issue that keeps you stuck. Salena: That's an extremely generous offer thank you. 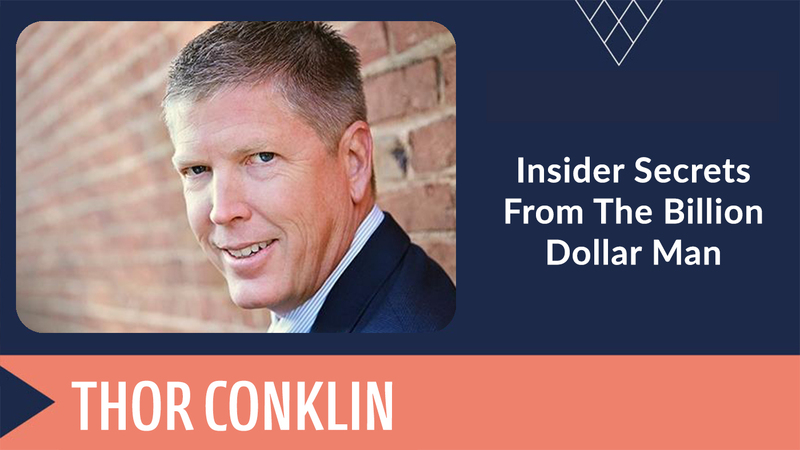 Thor Conklin: You know sometimes, it does take me a little while to get back because you're not gonna end up in some sort of funnel with auto-generated response, I respond back to these emails personally that's correct. Salena: Alright, thank you so much for being on the show. Thor Conklin: Thank you for having me, this is wonderful, thank you. As a child I was obsessed with knowing how things worked. I could always be found tearing apart some toy, electronic device or engine to see how it worked. This eventually lead me to studying humans to figure out what makes us tick. My Entrepreneurial addiction started at age 13 when I became a caddie. I did not know it then but the countless hours of working as a caddie on the golf course, walking, talking and asking non stop questions of the business elite, would have a profound influence on my career and life long fascination of studying and modeling Peak Performers. I am always trying to find ways to add value to others. Through speaking, teaching and sharing what I’ve learned with other entrepreneurs and business leaders, I am able to help executives with limited time achieve more.